Fandango Desktop Editor is a lightweight web-based word processor that edits HTML documents. You can open, edit and save HTML document without any third party software. This software provides many useful features. You can view its files in HTML5 enabled web browser. You can operate it with HTML5 enabled web browser. You can also use this software both online and offline. 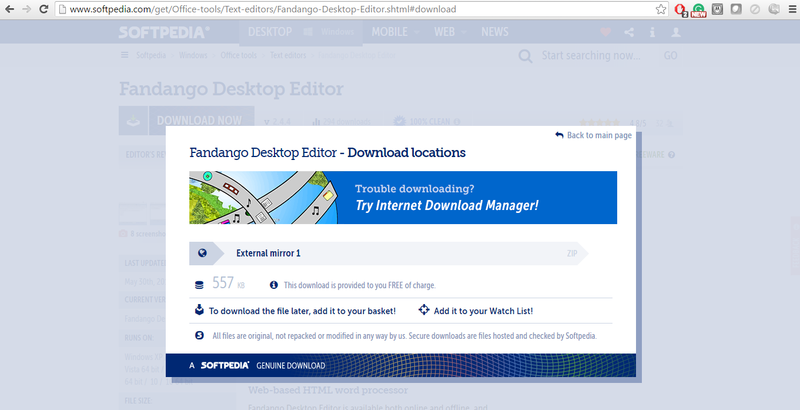 You can use Fandango Desktop Editor in most of the web browser available these days. Some feature may not be available with some web browser like Internet Explorer. You can create new documents with Fandango Desktop Editor. You can insert images, hyperlinks, headings, tables, custom HTML code, dividers, and many other elements. Fandango Desktop Editor lets you change the font size and color, edit the underlying code directly, insert the numbered of bulleted list and switch to HTML view. You can hide its toolbar for more space. Fandango Desktop Editor looks old with its interface. It takes very less space on your hard drive, makes it good software. 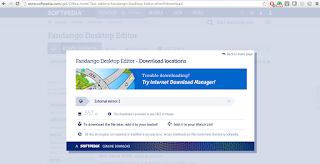 Fandango Desktop Editor will be downloaded as a ZIP file. You need to unzip that file before use. You can download WinRar software to unzip that file. You may like CREATE MOBILE HOTSPOT WITH YOUR WINDOWS 10 OPERATING SYSTEM.